سواءً كنت مسافراً بغرض السياحة أو العمل, Quest Royal Gardens هو خيار عظيم للإقامة خلال زيارتك ملبورن. إن موقعه الجيد الذي يبعد 0.5 Km فقط عن مركز المدينة يساعد النزلاء على الاستمتاع بمعالم المدينة ونشاطاتها. سوف يعشق النزلاء موقع هذا الفندق، فهو قريب من أهم المعالم السياحية في المدينة كمثل كارلتون, رويال ايكزبشن, الكاستون . إن الخدمات الممتازة وحسن الضيافة العالي في Quest Royal Gardens تجعل إقامتك تجربة لا تنسى. إن واي فاي مجاني في جميع الغرف, تخزين الأمتعة, صف السيارات, خدمة الغرف, التوصيل من وإلى المطار هي جزء فقط من الخدمات التي تميز Quest Royal Gardens عن باقي الفنادق في المدينة. ادخل إلى واحدة من الغرف 65 وتخلص من عناء نهار طويل بمساعدة مجموعة كبيرة من الخدمات كمثل مواد تنظيف, إغلاق, شاي مجاني, مناشف, سجاد الموجودة في بعض الغرف. يمكنك طلب اللائحة الكاملة للخدمات في الفندق ومن بينها حمام سباحة خارجي, سبا, مسبح (للأطفال), حديقة. يحظى فندق Quest Royal Gardens بموقع ممتاز وخدمات يصعب منافستها. ينصح الفندق نزلاءه بتحديد نوع السرير عند القيام بالحجز. This is very first Quest property. It remains well maintained. Location is excellent with stellar service by the staff. Spacious and spotless, our room was perfect for our overnight stay. The staff were courteous and very helpful. We had an appointment nearby the next day and were able to leave our car on the premises for an extended time. I would definitely recommend this property and will stay there again. 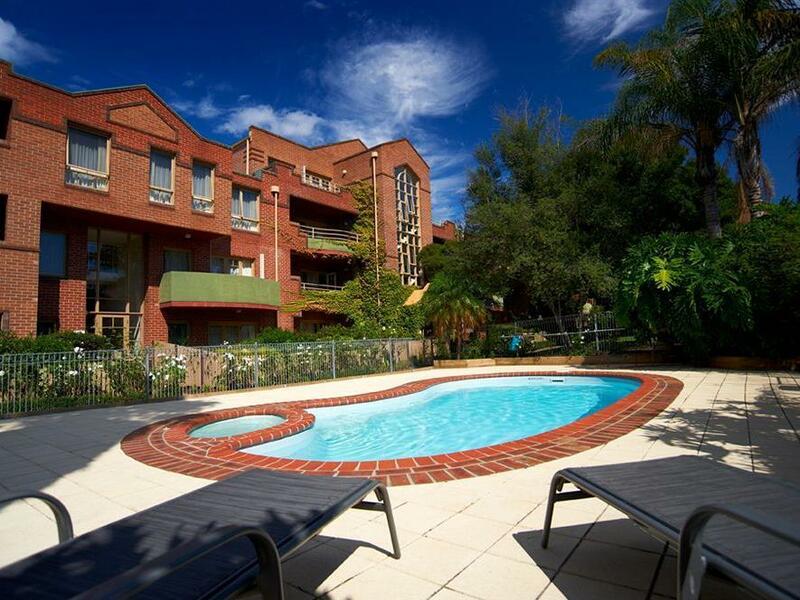 Located on the fringe of the CBD, with very close access to two tram routes and city loop trains. Fitzroy has lots of very good eating and drinking places within a few minutes walk. Car parking is charged for. We have very good experience here. The apartment has both washing and drying machine. Very Impressed with value for money. 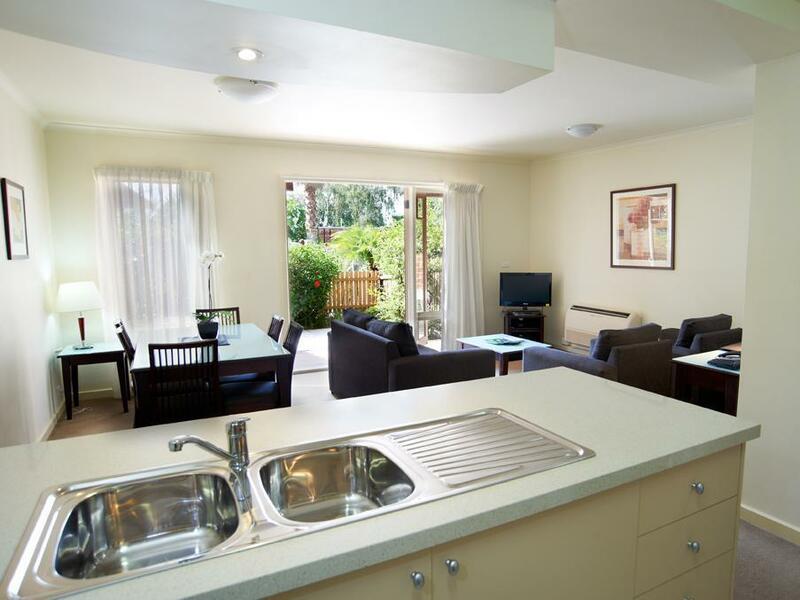 Huge apartment, comfy bed, lovely staff, discounted extended car parking, warm relaxing shower. Perfect for what we needed after a night out at Brazilian Theatre Restaurant nearby. The cheapest option for what I was looking for - simple, close but out of the city - hadn't stayed here before, and was amazing. Will definitely be choosing here again when I return & recommending to others. Great value for money. Loved it. Clean. Good staff. Nice facilities and gardens. Good location. Although I found it a bit confusing to get to the reception area the apartment was worth the effort. So close to the CBD and other major tourist attractions. Certainly value for money when the apartment enables self sufficiency for meals. The room was FABULOUS! The staff were absolutely amazing, and I honestly couldn't have asked for a better place to stay while on business in Melbourne! Thank you Quest Royal Gardens! 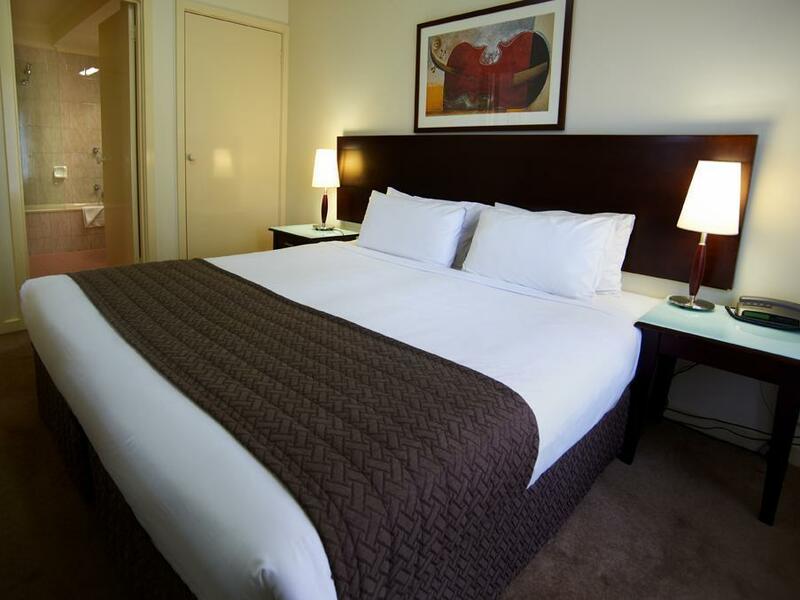 staff were pleasant, apartment was clean and very spacious, great location in cbd, defintely would stay there again. An ideal holiday abode, comfortable townhouse with two bedrooms and bathrooms, kitchen and lounge. View to interior courtyard with its rose garden and swimming pool facility. Fully carpeted with block-out curtains in a safe, quiet private environment. Walk or catch a tram into the city of Melbourne. Helpful reception personnel with computer access for boarding pass printouts. Only one concern: the servicing of the townhouse occurred only once in the period of an eight (8) night stay. Would stay there again. Thank you for a pleasant stay Quest. This is a good hotel in the Fitzroy area. It's quiet but near to the main streets with restaurants, bars, etc. In terms of decor, it is very basic and rather charmless but it's spacious and convenient. The location was brilliant, it was very peaceful and the apartment had ample space for 2 of us. The location of Quest Royal Gardens was great for us, just outside the city, only a couple of minutes walk from the tram down to the city. We found that by not getting on at the first stop and walking a further 200yds we were inside the free tram zone. The apartment was on the 3rd floor, which could be if you're not fit. It was a one bedroomed apartment and was certainly big enough for our 17night stay. The bathroom was adequate. The kitchen was sufficient and the hotel, provided washing up liquid, tea towels, cloths and even dishwasher tablets if you needed to use it. The bedroom was an excellent size but lacked coat hangers. The lounge area again was ample. Our balcony was great, got the sun all day and had a nice view down on the gardens. What let the balcony down was that it hadn't been cleaned prior to our arrival with a couple of cigarette ends and papers dotted around and moss and weeds around the edges. Itwasn't brushed or cleaned at all whilst we were there which let the hotel and the staff down, but didn't ruin my stay. I did have cause to contact the night manager at 11:45 one night in when the apartment below decided to crank the music up and have a party. The manager arrived there and resumed the peace and quiet of the place by 12:15am which excellent service in my view. On arrival I enquired about wifi and was very happy when the staff member advised me that because I was staying for a good length of time I could have free wifi for one device which suited me fine. Within walking distance are excellent cafes and boutiques. We had to be out of the apartment by 10am as I refuse to pay to keep hold of the room whilst I lay around the pool on my last day, but unfortunately the hotel do not provide shower facilities by the pool and I was told that I could get a shower at the airport!!! I'll certainly be staying here again on future visits, my little moans wouldn't out me off staying here again.